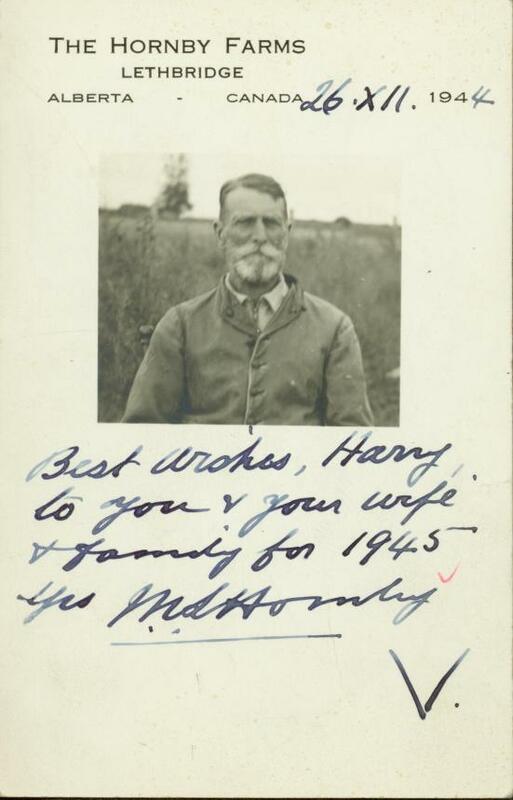 Card consists of a photograph of (presumably) M.S. 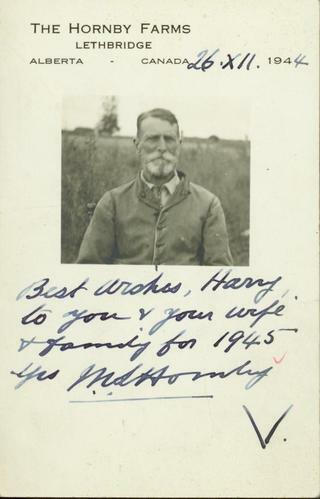 Hornby and reads: "The Hornby Farms, Lethbridge, Alberta, Canada, 1944: Best wishes Harry to you & your wife & family for 1945. Yrs M.S. Hornby".